This free learning module provides an introduction to entrepreneurial leadership though video, activities, and a wealth of multimedia resources. Entrepreneurial leadership provides an innovative foundation for urban Extension. By exploring this material, you will see the connection between entrepreneurship and leadership. It is more important now, than ever, to operate as entrepreneurial venture that is stable across situation and time (Scase, 2000). Awareness of various entrepreneurial frameworks (individual, team, organizational). 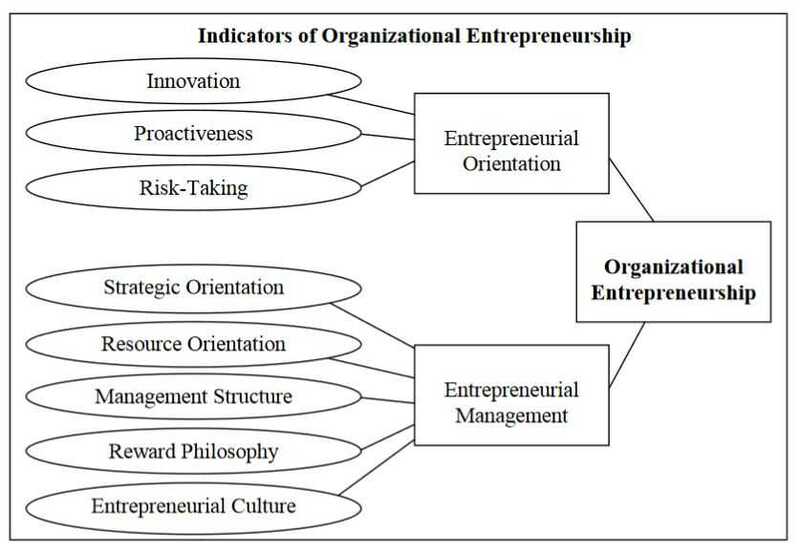 Knowledge of the linkage between entrepreneurship and leadership. Ability to identify potential application of entrepreneurial leadership to your current urban Extension context. Complete the Entrepreneurial Leadership Questionnaire (ELQ). If you would like to better understand this tool, read an article describing application of the ELQ, such as Entrepreneurial Leadership Questionnaire: Confirmatory Factor Analysis Evidence from School Context. Complete the Organizational Entrepreneurship Questionnaire for your organization. If you would like to better understand this tool, read an article such as those listed below. 1. After completing the Entrepreneurial Leadership Questionnaire (ELQ) and Organizational Entrepreneurship Questionnaire, what did you notice about the alignment (or lack of alignment) with any factors from your individual and your organizational ratings? 2. Draft a social media post or illustration to communicate the connection between entrepreneurship and leadership. -Reflect on how entrepreneurial leadership applies in your University Extension environment. -Read and reflect on the article, To Be An Effective Leader Keep A Leadership Journal. -With your mentor, review your questionnaires and ask them for feedback on your responses. How might the responses be similar or different when compared with potential responses from others within your organization? -With your coach, reflect on the questionnaires you completed and identify what characteristic/s you plan to focus on developing for yourself and for your organization. Plan sequential steps to hold yourself accountable. Watch this 2:36 minute video from Harvard Business Review, How Cultures Across the World Approach Leadership. Not only do we bring our own approach to leadership, with diversity in our cities, many of our colleagues and partners have different approaches to decision making and authority. Watch one of the videos from the series, 10 Lessons from Leaders: Local Entrepreneurs Tell All, from the Schwab Foundation for Social Entrepreneurs. Use your journal for reflection and/or share a video with a colleague. If you work with youth, check out the Urban Leadership Lab. If you work with entrepreneurs in your city, check out the educational and professional development opportunities tailored specifically to underserved communities, active duty service members, and veterans who have an interest in advancing their entrepreneurial, career, and leadership capabilities. Courses available through eMerging Entrepreneurs are offered by MIT, Harvard University, and others. Like to read? Here is one book option: Revisiting the Entrepreneurial Mind. You also have the option of reading just a chapter or checking out the references. Learn with a colleague. Invite a peer to lunch and informally discuss their professional support system. If you lead a team, plan to integrate or revitalize professional development into your plan of work. Many of these resources are available through university library online journals and researchgate. Entrepreneurial Leadership in the U.S.
What Is an Entrepreneurial Team? The Meaning of Social Entrepreneurship.